Obviously, they will charge for these updates. The problem is that, one, the threat is almost always fake; and two, the security updates are just as fake. The user who falls for this trick will end up being at least $50 poorer, without having anything to show for it! This tactic was exposed earlier this week by Parveen Vashishtha from Symantec. 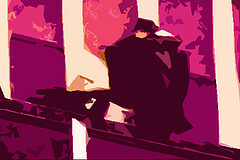 In a blog post, he outlined the modus operandi of this new breed of scammers. The trick is in knowing that browsers DO NOT ask you to download security updates via malware threat warnings. 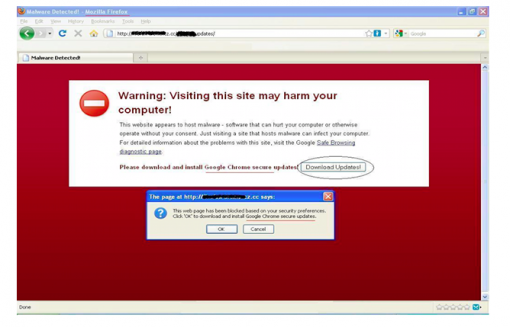 If you do see something like the image below, chances are you are the target of a scareware scam. If you’re thinking that people who are dumb enough to fall for this trick deserve it, think again. The truth of the matter is that the trick seems to work so well – even some experienced users fall for it. In fact, the scareware business has already made more than $100 million, according to the FBI. Don’t laugh just yet. Your safest bet is NOT to click the download button, obviously. Of course, you also ought to make sure that your OS, security software, and browser/s are updated on a regular basis. Internet Surveillance in America’s Future? Talk about Big Brother. As if the capability to run (legal) wiretaps weren’t enough, the United States government is now aiming to set in place systems that would allow them to (legally) wiretap electronic communication such as e-mail and Facebook messages! What the Congress wants is that if the government sends a provider a wiretap order, they should be able to provide the required information. The implications are huge. Bottom line: anything you send online (whether you’re using a wired connection or a wireless one) can be retrieved and reviewed. The underlying reason for the government’s plan is that the Internet is being used as a venue for communication by terrorists and other individuals/groups that are threats to society. If they have the ability to monitor and scrutinize this venue, then the world might just be safer for it. While this is indeed a serious concern, I am not so sure that wiretapping is the best solution. The system might just open up a whole new can of worms. Is Your Privacy Online Protected? Practically everyone is online these days, and you can’t really keep track of all the information on you out there. While you may be careful with what you post and what you do on the Internet, threats to privacy are very much real. We’ve heard of horror stories about these issues all too often, but for those who haven’t experienced any problems, the threat may not seem that urgent. If you think this way, it is about time that you take a look at how protected you are. Judging by the number of articles and posts on online privacy you can find, one should really take this issue seriously. 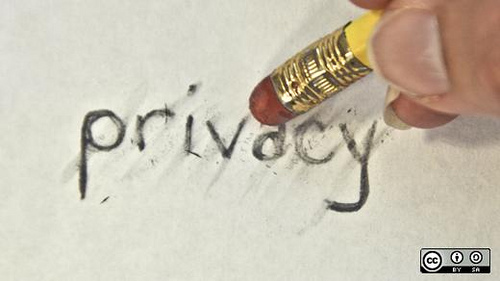 Here are a few ways by which you can make sure that your online privacy is protected. This is such a basic thing, but the need for solid passwords cannot be emphasized enough. Remember the simple rules: don’t use one password for all your accounts. Don’t use your name, your birth date, etc. If necessary, keep a file of all your passwords so you won’t have to worry about forgetting them. That means you automatically click SPAM. Do not bother to reply. Do not even click on the link that says “Unsubscribe” or something similar. Just click SPAM. We used to own an Internet cafe many years ago, and I cannot count the instances wherein I would use a computer only to see that the previous user did not log out of Yahoo. You may say that you don’t use public computers, but it still is a good habit to develop. For more tips and details, visit my sources for this post: The Telegraph and EFF. Private Browsing Not So Private After All? How often do you use the private browsing capabilities of your chosen Internet browser? For one reason or another, I am sure that the average person will find this capability useful. While I am not going to prod as to why you would need to go incognito while browsing, you ought to know that there is supposed to be a flaw in the whole private browsing model. Researchers from Stanford University and Carnegie-Mellon University have recently studied the private browsing model being used by major Internet browsers, and they say that it is not that foolproof; at least not as foolproof as we would like to believe. 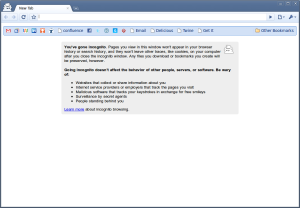 They released their findings in a paper titled An Analysis of Private Browsing Modes in Modern Browsers. We analyzed private browsing modes in modern browsers and discussed their success at achieving the desired security goals. Our manual review and automated testing tool pointed out several weaknesses in existing implementations. The most severe violations enable a local attacker to completely defeat the benefits of private mode. In addition, we performed the first measurement study of private browsing usage in different browsers and on different sites. Finally, we examined the difficult issues of keeping browser extensions and plug-ins from undoing the goals of private browsing. The next time you face the need to go incognito while browsing, make sure you take these things into consideration. Your best bet is to use your private computer and regularly take steps to ensure your security.